The Summer 2014 edition of the JASC Journal is now available online. You can view the journal by clicking here. 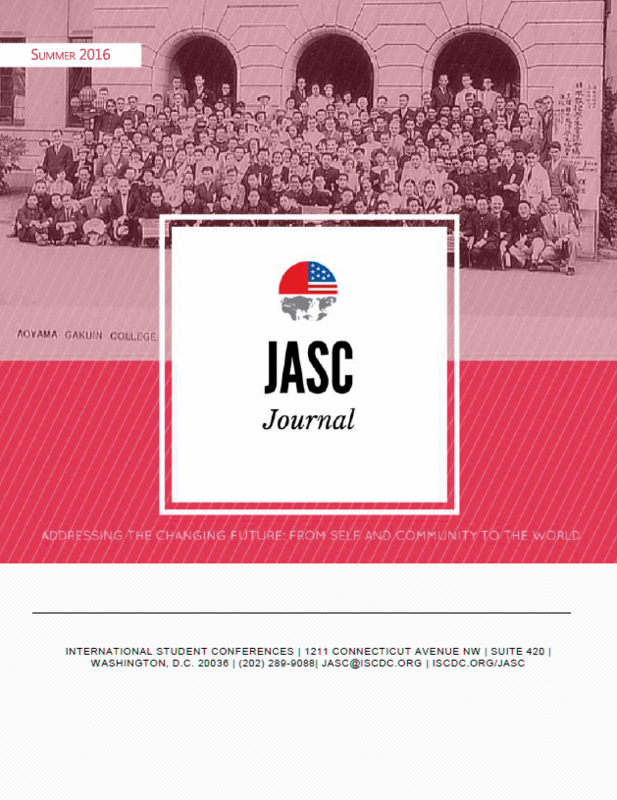 This edition includes latest updates about JASC 66, Alice and Sharon, JASC 65 Alumnas who are launching the 1st Taiwan-America Student Conference, greetings from the JASC Alumni Association, a message from the executive director, and your JASCer notes. 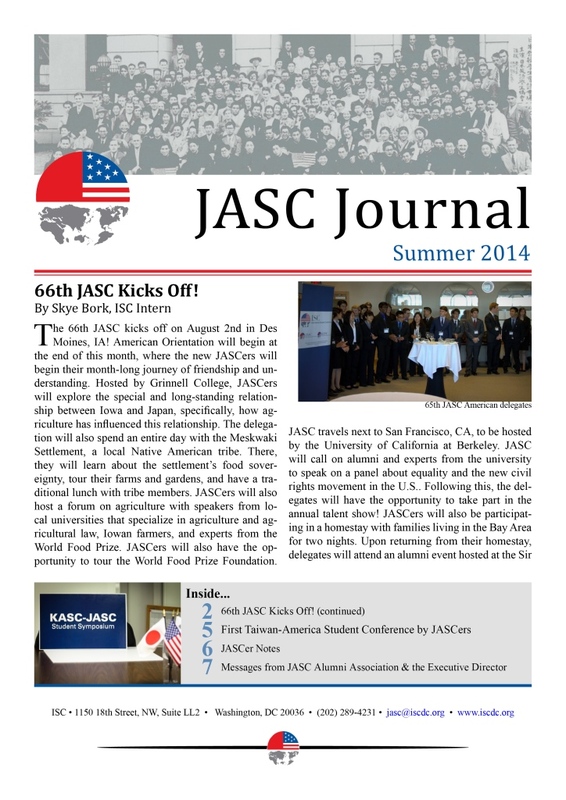 Please enjoy the Summer 2014 edition of the JASC Journal! 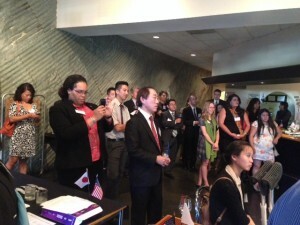 On July 22, Japan-America Student Conference (JASC) hosted a reception to celebrate the 80th anniversary with alumni, friends and supporters in Los Angeles area. 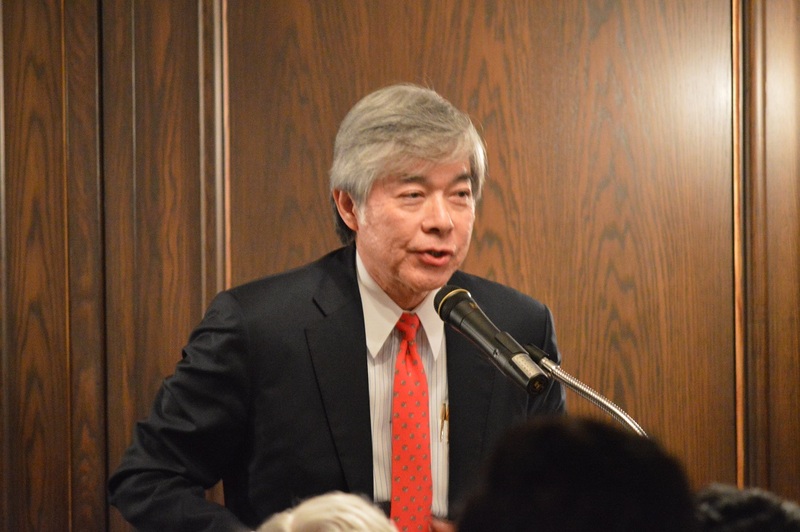 ISC Vice Chairman of the Board, Glen S. Fukushima (JASC 1970 & 71) shared his experiences at JASC, his distinguished government and business career in the U.S. and Japan. Also attended was Phil Wolfstein (JASC 1972), Will Knox (JASC 1973), Ron Ohata (JASC 1974), Shelene Atanacio (JASC 1996), and Jetting Chen (JASC 2004). The reception was also attended by several leaders from the local US-Japan community, including California State Assemblyman Al Muratsuchi and Mr. Masahiro Suga, Acting Consul General of Japan in Los Angeles. The event was co-hosted by Japan-America Society of Southern California. Want to reconnect with JASC and meet the current students? Attend the 80th Anniversary Weekend in San Francisco! More information and RSVP at www.regonline.com/jasc80th. 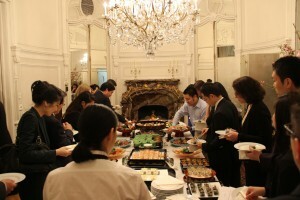 Or contact Yuuki Shinomiya at yshinomiya@iscdc.org. You will be receiving your copy of the Winter 2014 JASC Journal in the mail shortly, but the online edition of the JASC Journal is now available online! You can view the journal by clicking here. This edition includes a profile of Florence Maher, a JASC 57 & KASC 1 alumna who is now working as a Foreign Service Officer, a letter from the American Executive Committee Chair of JASC 66, an invitation JASC’s 80th Anniversary Weekend in San Francisco, a short report on ISC’s recent Trilateral Symposium, and your JASCer notes. 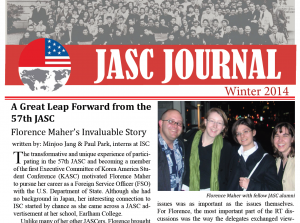 Enjoy the Winter 2014 edition of the JASC Journal, and expect the Spring edition soon! Manage subscription options from your profile. The Summer 2013 edition of the JASC Journal is now available online. You can view the journal by clicking here. A print version of the journal will soon be mailed. Please email jasc@iscdc.org to update your mailing address if you have a new address and still wish to receive the journal. 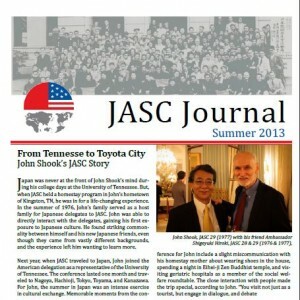 Enjoy the Summer 2013 edition of the JASC Journal! On Thursday, June 20th, Asia Society hosted an extraordinary event titled, “An Asian American Triumph: From Internment Camps to Reparations.” As one of the event’s outreach partners, International Student Conferences was invited to attend. Yuuki Shinomiya, Executive Director of ISC was joined by Jenny Kai, KASC 3 (2010), and Rachel Horton, JASC 63 & 64 (2011 & 2012), in representing both conferences and engaging in discussion afterwards. A few other JASCers were also in attendance, most notably, Ambassador and Consul-General of Japan in New York, Shigeki Hiroki, JASC 28 & 29 (1976 & 1977), and Consul Kengo Yoshihara, JASC 41 (1989). 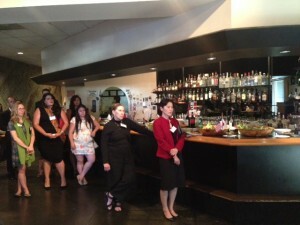 The event was both informative as well as inspiring. 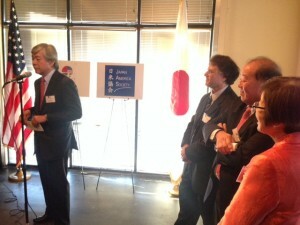 Ambassador Hiroki and Nicholas Platt, Asia Society President Emeritus, introduced the speakers and significance of the event. Fred Katayama, the moderator of the event, told his father’s story of internment in the United States during World War II. 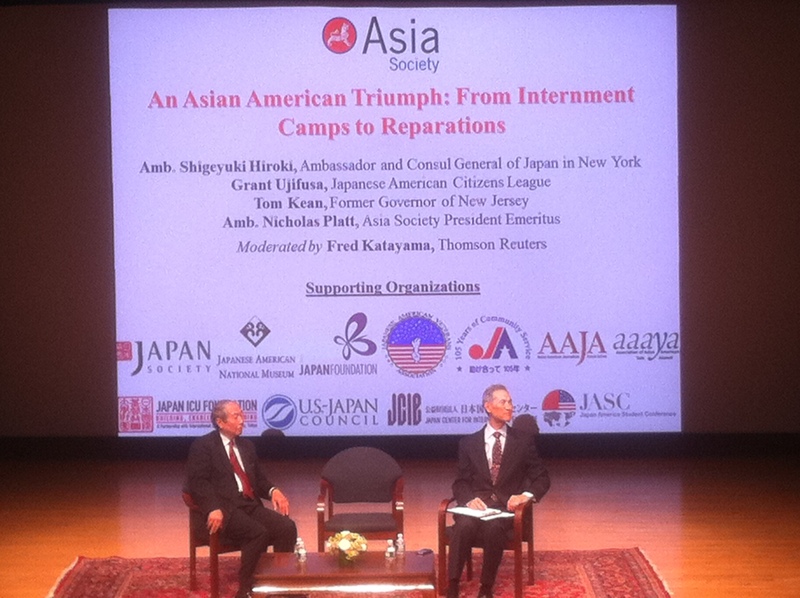 After he spoke, he welcomed Grant Ujifusa, Redress Strategy Chair of the Japanese American Citizens League, and then Tom Kean, former Governor of New Jersey, to share their personal stories of President Ronald Reagan reversing his opposition to the Japanese American redress bill and eventually signing the HR 442 on August 10, 1988. The event continued with questions and answers that added even more to the history surrounding the redress and how we can use what happened in the past as a way to pave a future of less suffering and segregation. By signing the HR 442, President Ronald Reagan showed the United States that justice being served and the reparations paid to those interned were more important than the fiscal budget. Although the history of Japanese Americans interned during WWII is not taught in all schools across the United States, it is a shameful part of the nation’s history and a lesson that should be imparted so as to never be repeated. 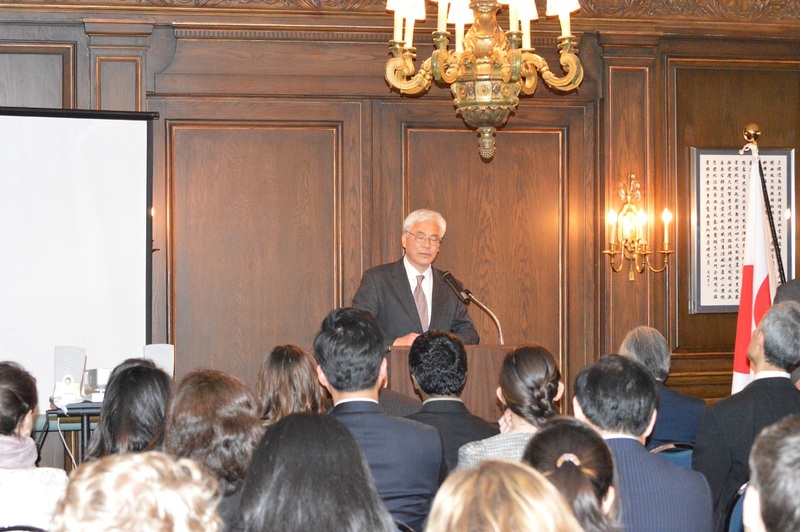 JASC has always made efforts to educate young leaders from the US and Japan about Japanese American community’s history and contributions to the American society. This article was written by Rachel Horton, alumna of JASC 63 & 64 (2011 & 2012). Renowned jazz musician Akira Tana, JASC 25 (1973), and his group Otonowa have completed a tour of Japan playing music from their new album to benefit the Tohoku region. Video excerpts from the tour follow. The CD is still available and 25% of the sales are going to relief efforts in the Tohoku region. To purchase the album visit the Otonowa website, http://www.otonowa-usa.com/. 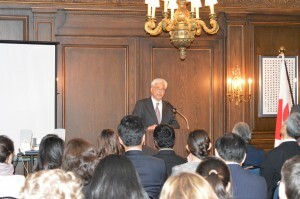 More information about Akira Tana and his involvement in JASC is available in this previous post.